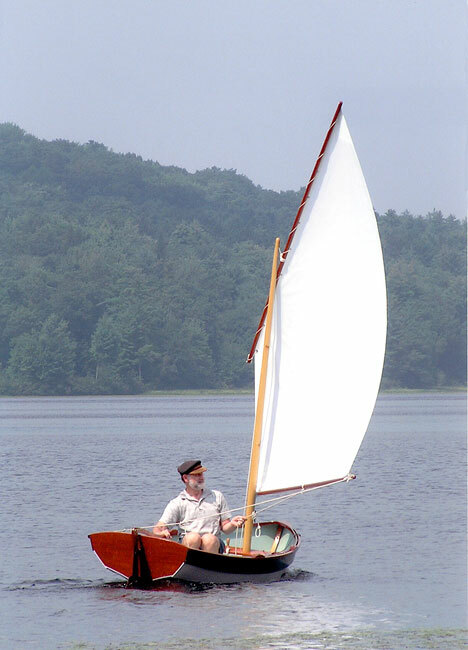 Richard Scarlet built this Shellback dinghy over several months at The Little Boat Shop in New Bedford, MA. Boat shop owner Steve Bussiere showed him how to make a few modifications and enhancements such as laminated mahogany hanging knees to Joel White's basic design. Launched in the spring of 2003 on Browning Pond, Rich will be sailing LIGHTWAVE in the waters of coastal and inland Massachusetts.